February 2015 – Knight’s Global Control Handles are designed to ensure an ergonomically correct position for the operator while staying within ergonomic window specifications for height, width, weight and low thumb lever push force. 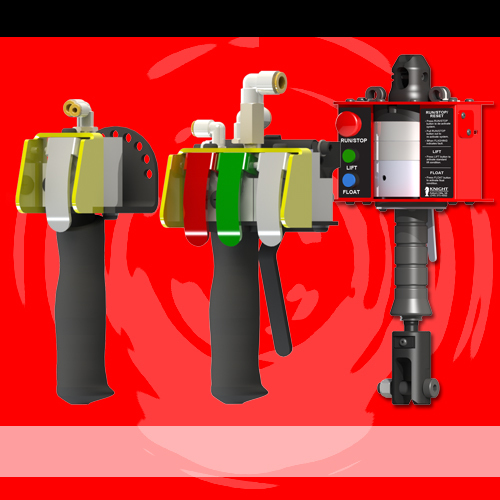 Knight controls come in either pneumatic, electric, a combination of pneumatic and electric or servo; which can be customized to fit your application needs. February, 2015 | Harley Davidson/YouTube – Harley Davidson Exporting Freedom Super Bowl Commercial. June 2014 – Knight Global Inc. is relocating its Auburn Hills, Michigan headquarters into a single building also located in Auburn Hills, Michigan on Monday June 9th 2014. Knight Global’s new facility will allow them to design, manufacture and build every application in one building instead of the previous four buildings they occupied before.